A big rig accident closed a section of Highway 101 in Ventura County for much of the Tuesday morning commute. The crash on the northbound 101 closed the freeway in Camarillo at about 4:15 a.m. The big rig caught on fire. 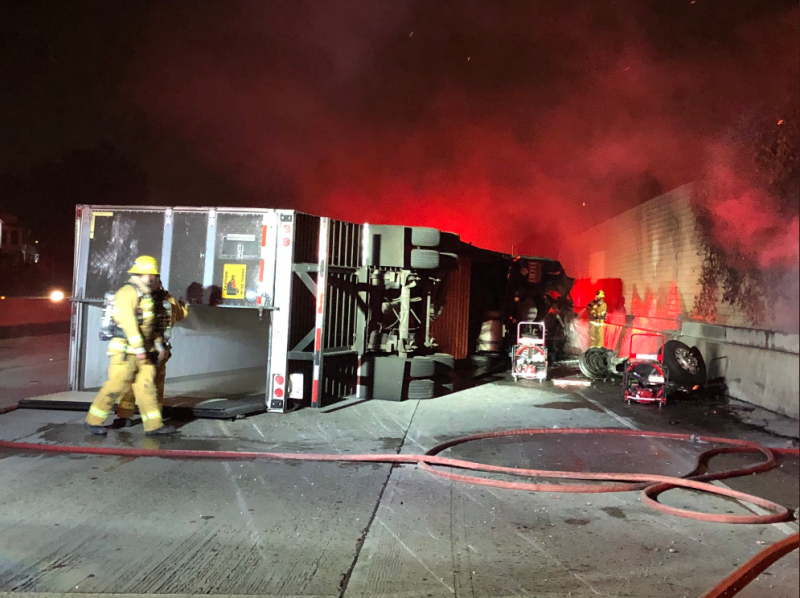 No serious injuries were reported, but the fire and cleanup meant that the northbound 101 in the area was closed for much of the morning commute, with people rerouted onto surface streets. By 8 a.m., some lanes had reopened.